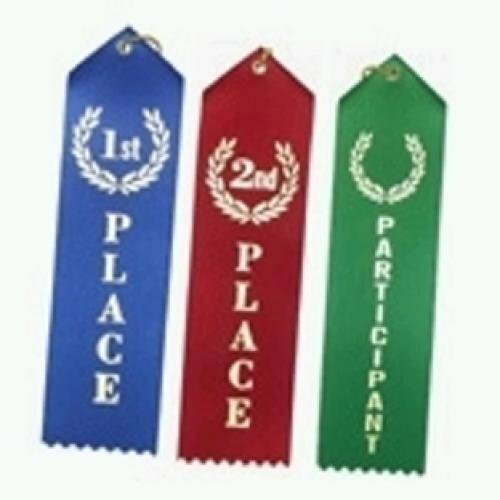 This is a collection of single streamer ribbons that include 1st through 10th place as well as ribbons for many other categories. This peak ribbon has a single streamer with an attached event card on the back. A string is attached through the eyelet. It is available for a variety of places and activity categories. 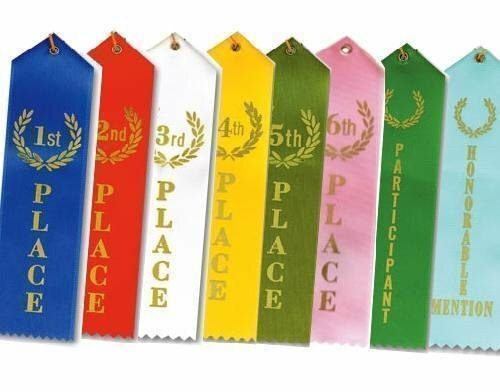 Grand Prize Ribbon - Purple - 2" x 8"
Winner Ribbon - Blue - 2" x 8"
8th Place Ribbon - Brown - 2" x 8"
1st Place Ribbon - Blue - 2" x 8"
Sportsmanship Ribbon - Blue - 2" x 8"
7th Place Ribbon - Purple - 2" x 8"
10th Place Ribbon - Light Blue - 2" x 8"
Special Award Ribbon - Purple - 2" x 8"